BP, which in 2011 bought 30 per cent stake in Reliance Industries' 21 oil and gas blocks, including KG-D6 for USD 7.2 billion, has been frustrated by the delays in getting approvals for plans to revive the sagging output from eastern offshore KG-D6 fields. Officials said Dudley raised the issue of gas prices not being revised on the due date of April 1 as also KG-D6 revival plans getting stuck in redtape. BP since coming on board in 2011 has been working to revive the output at KG-D6 field which currently at about 13 million standard cubic meters per day is one-fifth of levels achieved three years back. Approvals, however, for the plans did not come and it was only after with a vigorous push by the then Oil Minister M Veerappa Moily that nod for routine works like annual expenditure plan came in the second half of 2013. Sources said BP is keen that a decision on gas pricing be taken at the earliest so that its investment decisions can be firmed up. Dudley had in an interaction at the WPC yesterday stated that the company was "disappointed" at the pace of approval in India said the new government must reform its gas price regime for survival of the gas industry. "It has been disappointing, the pace at which certain things have been approved -- the price rising up towards a market price, there have been a number of delays in seabed surveys and the appraisals of various projects," Platts, a global provider of energy-related information, quoted Dudley as saying. BP, India's single largest foreign investor, and its partner RIL last month slapped an arbitration notice on the government for delay in revision of prices that were due from April 1. 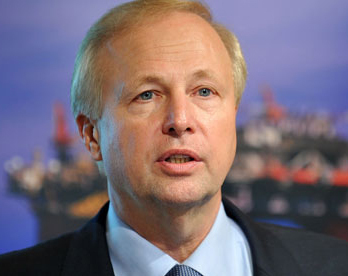 Dudley said the government must reform gas price regime. "You just have to look at the natural gas prices around the world. It seems not right that it would be more economic to produce gas in Australia and sell it into India at USD 20 per million cubic feet, than be able to develop the resources in India," he said. The previous UPA government had in December 2013 approved a new formula for pricing of all domestically produced natural gas from April 1. The formula, which would have doubled the current USD 4.2 per million British thermal unit, could however not be implemented as elections were declared. The new BJP government has been reviewing the formula but is yet to take a decision.